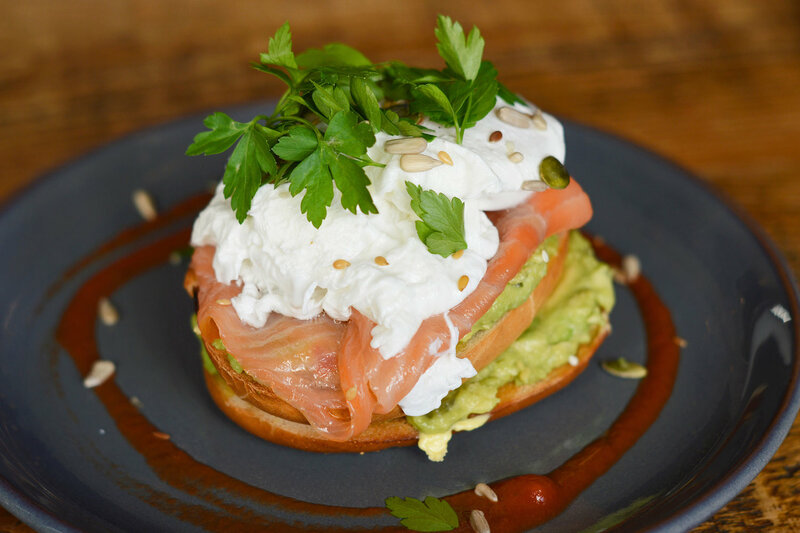 Weather is spending a leisurely morning over a plate of delicious food, or meeting up with friends the morning after a night out you cant beat a good breakfast. 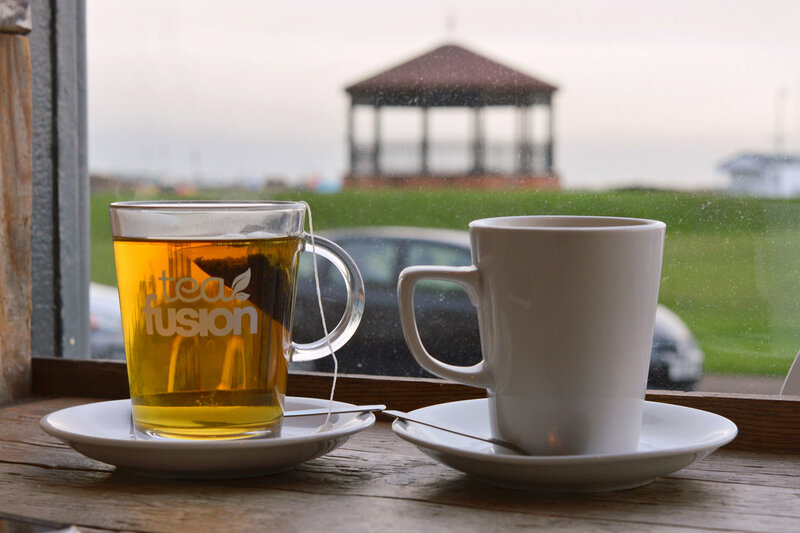 With so many great options available to us in Deal we thought we'd take a closer look at food being served up each morning. 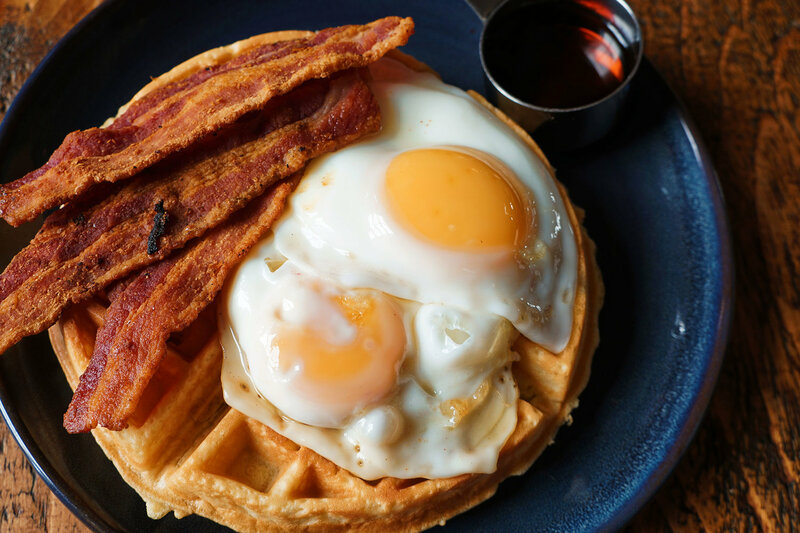 When we bit into this we were instantly transported back to America where we enjoyed breakfasts just like this, brilliantly crispy smoky bacon it even shattered it was so crisp, a waffle that was light and fluffy on the inside and crisp on the outside, served with a fried egg on top. You could even pick up bacon and dip it in the sweet maple syrup. You can't go too wrong with a full English. 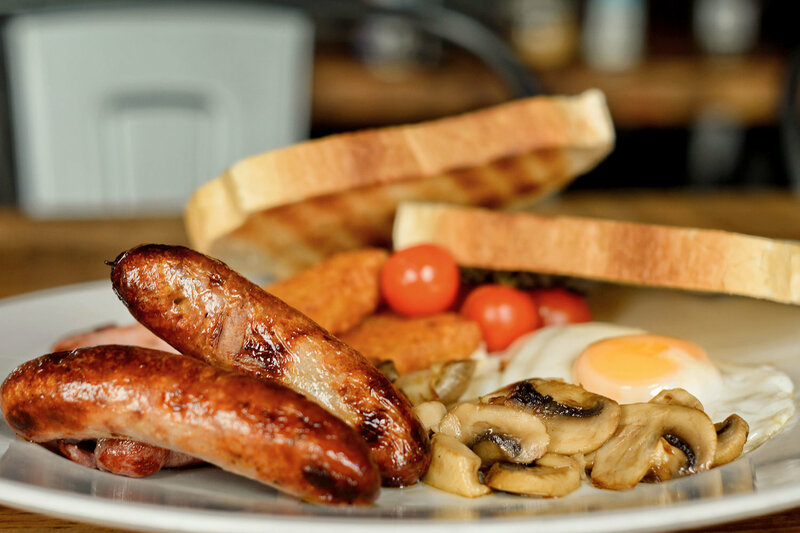 From the hash browns with their thick golden shells, the herby sausages, salty smoky rashers of back bacon, to the fresh tasting mushrooms, each element is high quality and well cooked. Ben- a meat lover, was surprised that he loved the mushrooms as much as the bacon and sausages. 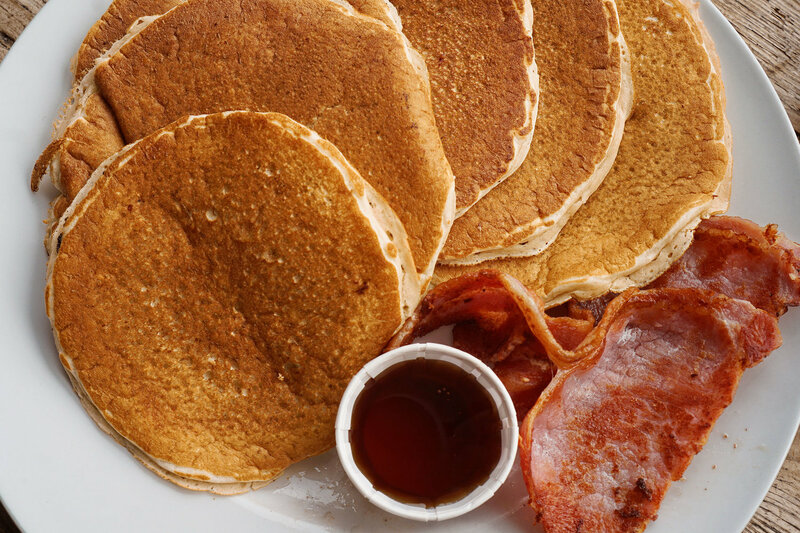 There are no pools of grease or rubbery eggs, just a hearty quality breakfast. Tender salmon and fresh avocado sprinkled with assorted seeds giving a crunch to the otherwise soft texture. Topped with a perfectly poached cloud of egg, when we cut it open the yolk was perfectly runny. 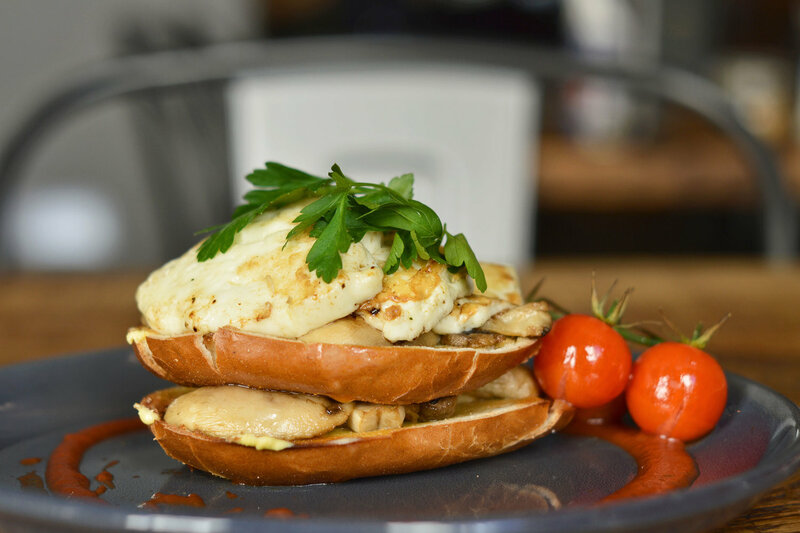 Tangy salty halloumi, meaty mushrooms on top of a buttered bagel. Coriander and tomatoes cut through the salty flavours and add a nice bite. The halloumi was soft and melted like the texture of mozzarella. Not at all rubbery or squeaky like it often can be. Highlights: Mushrooms, bagel, hash browns and streaky bacon. Surprisingly for us the vegetarian option, the halloumi and mushroom bagel was our favorite. 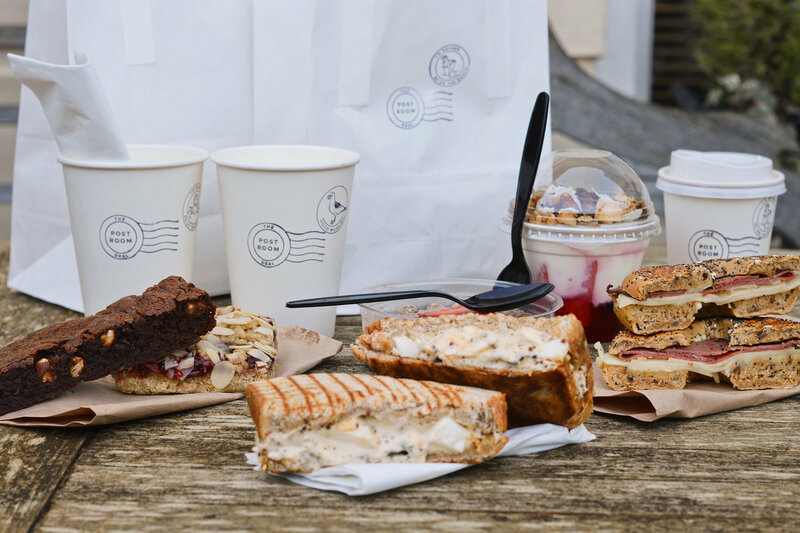 The Lane is somewhere we’ve been coming for a while and their menu has gone from strength to strength. 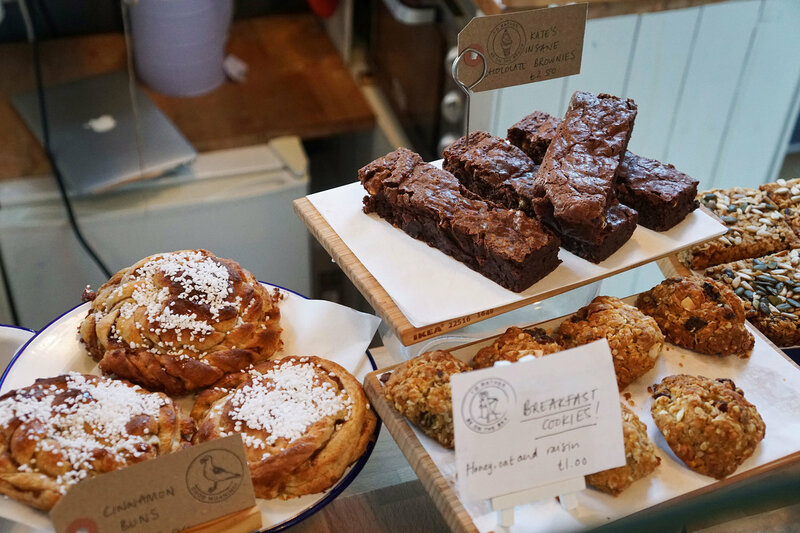 Their breakfast items are something you can really treat yourself to at the weekend. Especially with options like the waffles and breakfast cocktails. 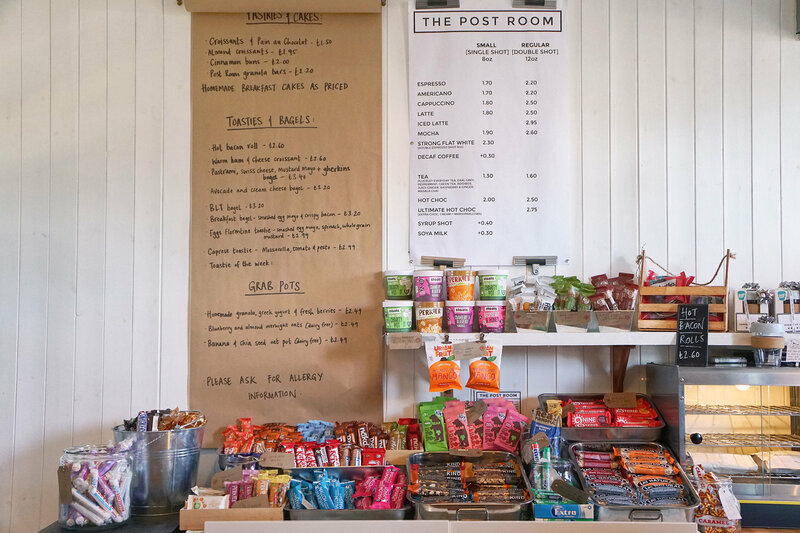 The post room is based at Deal train station and is popular with commuters for morning coffee and goodies. Everything is well thought out and designed to help get you through the morning. 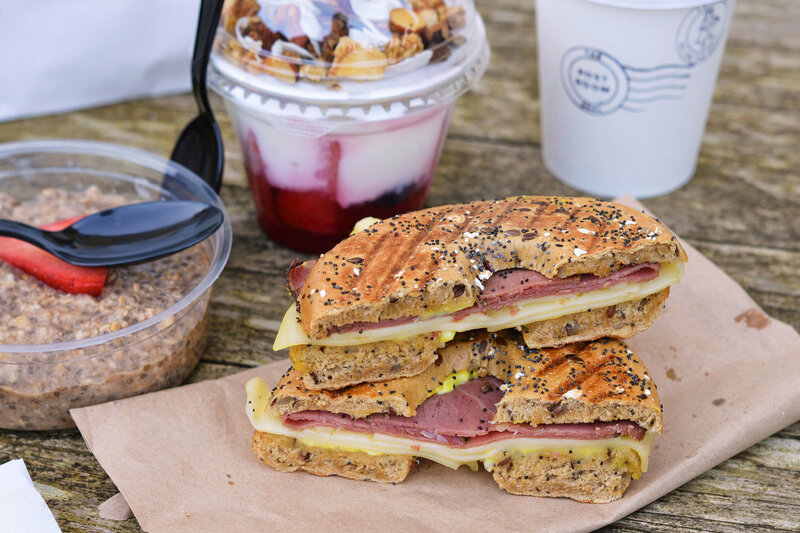 With delicious oaty baked goods, breakfast sandwiches and to go pots of yogurt and overnight oats that you can bring to work. They pull off the difficult balance of making nutritional food you’ll actually want to eat. Everything we tried was delicious, a testament to the fact that it’s all homemade. ‍Dotted with hazelnuts throughout, just as a good brownie should be its rich and chocolatey. It’s also very filling, great to keep you going throughout the day. ‍This was the tastiest thing we’ve eaten in a while. We're not really sure what made it so good but all the elements were perfectly balanced and the bagel itself tasted pretty magical. We’re still thinking about it days later. 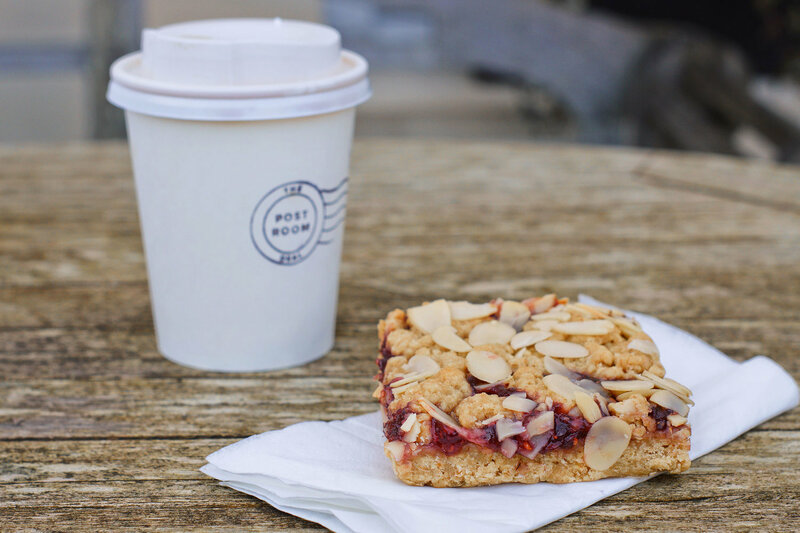 ‍Oaty buttery cut through with the sharp raspberry jam. It was a little like a crumble and a little like a flapjack. Something that would be great to grab as a mid-morning snack, especially with the oats giving you energy. ‍‍Another alternative to a boring breakfast, healthy, tasty and packaged in a handy pot. It’s also made using almond milk, great for those of us who are dairy free and struggle to find options. New management has taken over what used to be The Hope and Lane and is now Goose on the Green. The menu has been kept the same, but a few of the kinks have been ironed out, improving the general standard and making things run smoother. With its location on The Strand, you get great views with your breakfast. They serve amazing coffee, from Monday - Friday you can get a free drink with regular, large or veggie breakfasts. Everything is great value, we wish them every success. A huge serving of fluffy well cooked pancakes. They were a nice golden colour served with smoky rashers of back bacon. I could have done with more bacon to pancake ratio and warmed maple syrup, but that is being particularly picky. There was six pancakes and I didn't manage to finish all of them. But they kindly bagged up the remaining ones, and they tasted just as good microwaved later on. 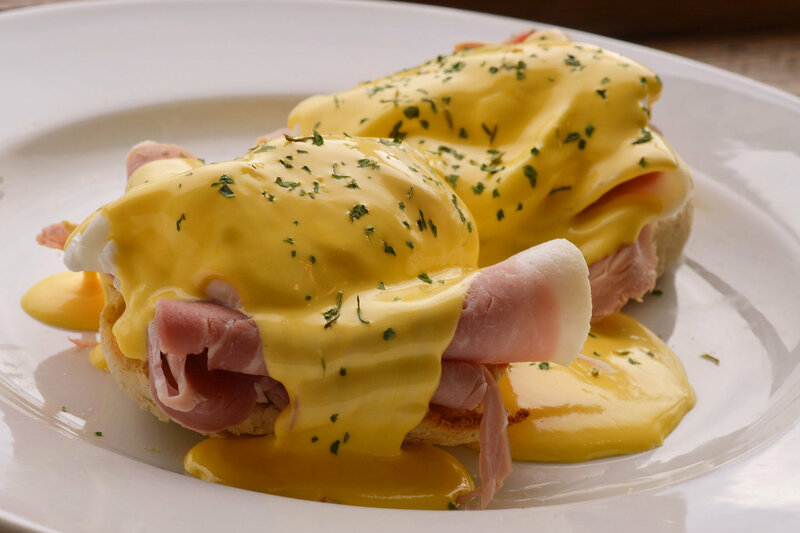 ‍This didn't disappoint, a rich creamy hollandaise sauce with gooey and perfectly poached eggs. It looks attractive on the plate with greenery to garnish and the brilliant yellow of the hollandaise. The ham added a nice saltiness and break in texture without distracting from the eggs- the star of the show. 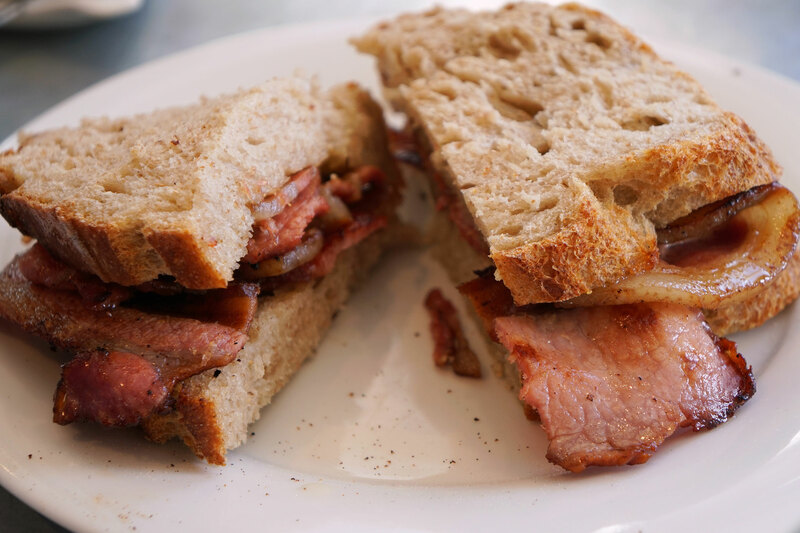 ‍Smoked bacon from The Black Pig on homemade on well buttered thick sourdough bread. It doesn't get much better than this, the best remedy for any sore head the morning after. You can also add a fried egg or avocado for extra. 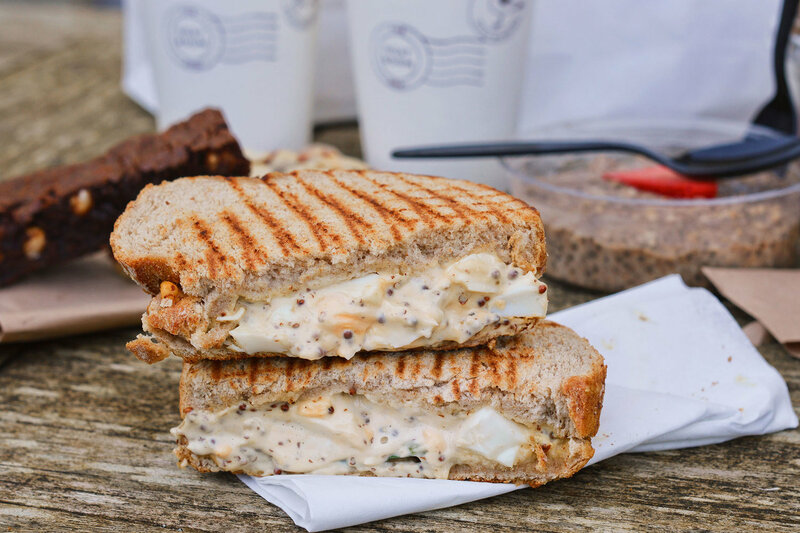 ‍Big is the optimum word here, a massive hunk of sourdough piled up with chorizo, bacon, roasted squash, creamy scrambled eggs, halloumi and avocado topped with dukkah and harissa. 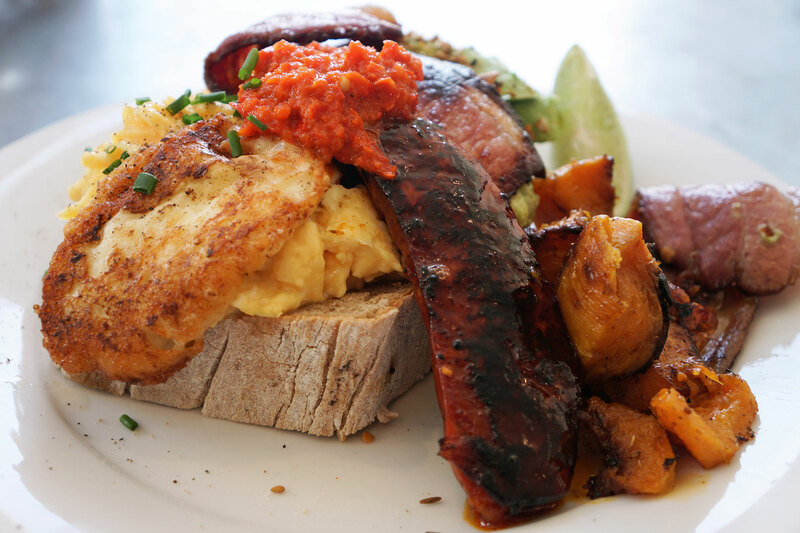 This is something completely different to a full English, crammed with a mixture of flavors and textures it will set you up right for the day. The cafe uses Curve Roasters coffee (based in Margate) and has a different blend on the go each day. We ordered a very berry smoothie which was refreshing and fruity, and packed with goodness.